Most newbie bloggers quit before even starting a blog and that is not really a secret. Moreover, they do realize that it needs time and maximum effort to become a successful blogger but tends to give up before starting the game. Now the real question arises. Why start a blog if you are going to quit anytime soon? Let’s come to the fact, blogging is elusive for a starter, else anyone would be a blogger with just a snap of fingers. There are various reasons why bloggers quit. We have come with some of the main reasons here in our post. It goes without saying unless you are some celebrity or well-known person, you cannot get that much of traffics that you desire to get in short period. It takes time. Most bloggers quit because they fail to impress readers. They think their contents are not serving any readers so that they are not getting any traffics. You can click HERE to learn how to get more traffic. Focus on quality of contents rather than quantity. If you want to write a long blog post, make it interesting for readers. Posting what you wrote on social medias also helps with getting the traffic to your blog. When newbie blogger just starts a blog, they are oblivious on what topic they should be writing. They are in a great dilemma. When nothing seems to cross their mind, they think they have no other choice than to quit and they leave the platform forever. Like we mentioned in our previous articles, you can write about anything. You can write about what you are passionate about. It can be sports, music, self-help blogging, personal blogging and such. We suggest you write what you know best. After all, you, only you know what you writing about. Right? It is another problem that most bloggers are facing. They want their blog to be an overnight success. They start blogging for just 6 months and they begin to question themselves why their blogs are not getting the attention that they deserve to get. When their blogs are not going anywhere, they choose to give up. Just like that. Let’s accept the fact no one in this whole world became overnight successful in what they do. Not even Bill Gate and not even Steve Jobs. It takes time. Have patience and do what you love doing. It is one of the reasons why many bloggers quit. They are not familiar with the blogging platform they are using and they think they never will. They also think it doesn’t fall under their area of expertise. The good news is you don’t have to be professional on blogging platform you are using. A Little knowledge will suffice. 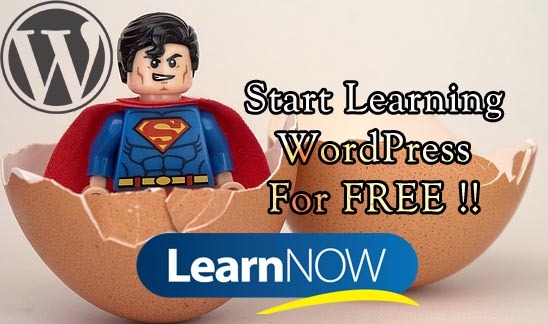 You don’t have to know the programming language as WordPress, one of the best blogging platforms, provide the themes for free for users. Dedication is crucial if you want to become a successful blogger. Many bloggers who are successful spent most of their time on their blogs with full dedication, consistency, and persistence. Many newbie bloggers quit because they lack dedication on what they do. Love what you do and move forward. If you aspire to earn money through blogging, then you should work with full dedication. Write frequently. One of the reasons why newbie bloggers start their blog is to earn extra money. How many bloggers want to earn extra bucks from Google Adsense? All of them. OK, mostly all. When the bloggers have enough contents required for Google Adsense, they give their sites for Google AdSense approval review. However, some of them received an approval feedback in short time while some don’t. Those who failed to receive Google Adsense approval give up. It is well written on AdSense Policy that your contents must be unique ( meaning not plagiarized ), adult content, drugs, and violent related topics, hacking contents and such are prohibited. This might be one of the reasons why your blogs are not approved by Google. When disapproving your sites, they give clear reasons why your blog is not eligible for this program. We suggest you read those reasons and change wherever you are told to. So you’ve now noticed some of the reasons why bloggers quit in the first place. The big question arises again. 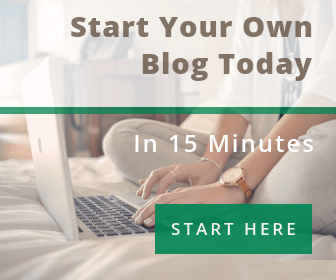 Can you aspire to become a successful blogger? Yes, you can. Just don’t give up. Even if you have a job and if you have started a blog, make sure you give a little time to your blog too. One hour a day is enough. You don’t have to post regularly. At least not at start. You can post your contents once or twice in a week. Not to mention, only you know the main reasons why bloggers quit, write what you know best or research before writing. After all, you are a winner, not a quitter. Previous story How To Write A Blog Post?